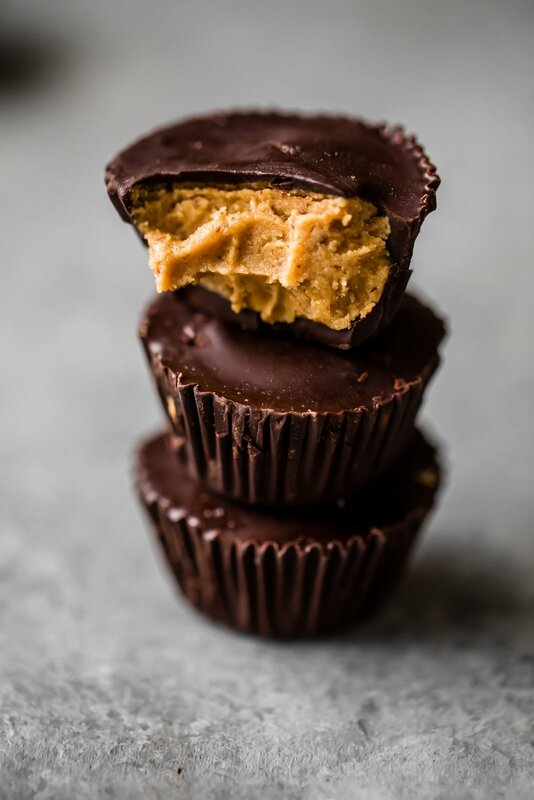 Homemade healthy peanut butter cups that are easy to make right at home! 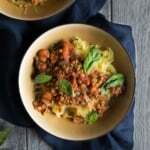 Low carb, low sugar, vegan and gluten-free. Keep these in the fridge or freezer when you need a healthy treat. 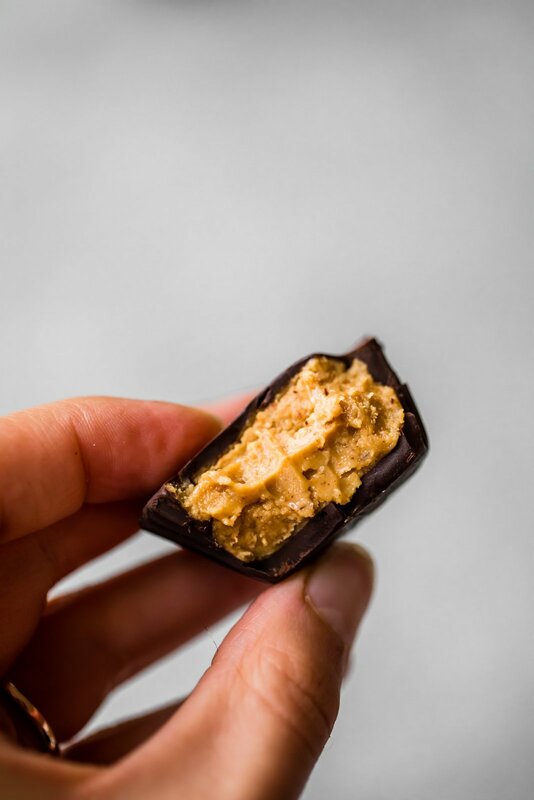 What if I told you that you could make HOMEMADE HEALTHY PEANUT BUTTER CUPS with only 4 ingredients? 5 if you count salt. You’d jump for joy, right? But then, what if I told you that these healthy peanut butter cups were not only easy but also LOW CARB, LOW SUGAR, VEGAN AND GLUTEN FREE. You’d love me forever and ever, right? 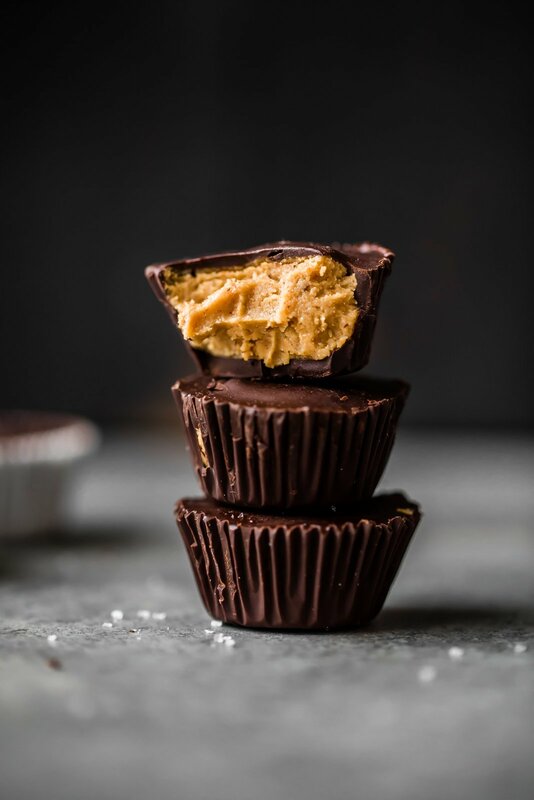 Or maybe you’re like me, and the most exciting thing about these healthy peanut butter cups is the fact that you can whip them up in 15 minutes and they replace your favorite Easter or Halloween candy (Reese’s peanut butter cups). Basically, all I’m saying is that you need to make them ASAP. They’re in our fridge or freezer constantly (just store them in ziploc bags) and they’re a much healthier alternative to regular candy bars. In fact, Tony I prefer these over Reese’s. If you make this recipe, be sure to tag #ambitiouskitchen on Instagram or leave a comment and rate the recipe below! Feel free to double the recipe if you want more cups. You can make these into large cups by using a regular muffin tin and liners. I would suggest doubling the recipe if you make large cups. Healthy 4 Ingredient Reese’s Eggs + video! 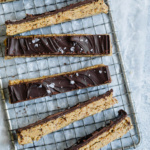 Peanut Butter Cup Protein Bars + video! Salted Date Brownie Energy Bites + survey! 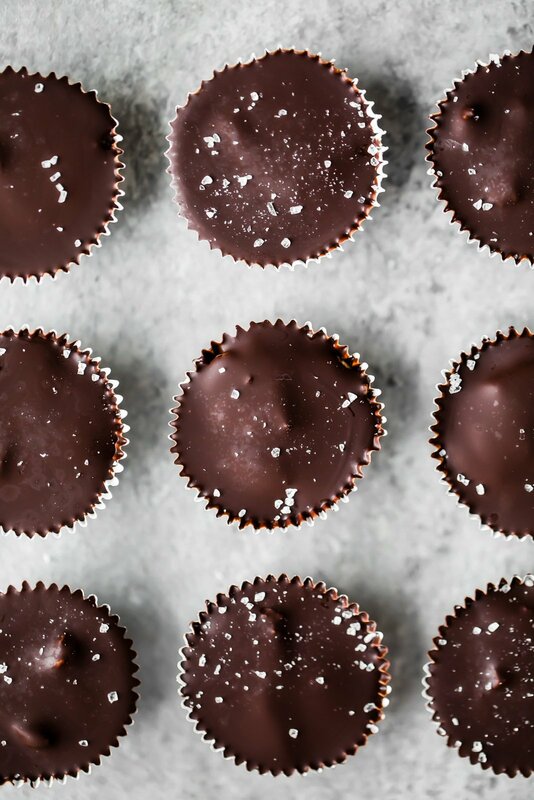 67 Responses to "Homemade Healthy Peanut Butter Cups! 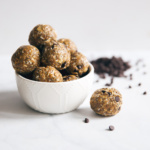 (low carb, vegan, gluten free)"
MAJOR yes to this treat recipe. 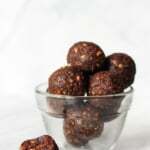 My very favorite candy in a healthy version AND its easy to make?! Definitely trying this one day soon! I have never thought about peanut butter cups being a healthy option, this is insane, thank you so much!!!! Right?! Homemade is the way to go!! Yum! I could probably use almond flour, right? I think it could work – you might just have to use a bit more! Check out the video and be sure your PB mixture looks like that (a soft cookie dough almost). Jumping for joy is right! I think these are definitely going to be a freezer staple. Absolutely! I always have some in my freezer. Best thing ever! YES PLEASE!!! My husband will love these!!! YES! Tony prefers these to Reese’s 🙂 Stock them up in your freezer! These look incredible and the best part is that I am the only one that likes peanut butter in my house so no one will eat them on me!!!! Do you think I can use natural crunchy peanut butter though as I love the crunch it adds to baked goods? I wouldn’t recommend it – you’re not really supposed to eat raw, regular flour! This a great site. I got it from my Bloglovin’ Daily Digest via email. I will definitely come here often. Thank you for I think I will love these!!! Peanut butter cups are my favorite. Is there anything I can use in place of the maple syrup? I will be making soon. Will let you know how they turn out. These look SO GOOD! I’m going to have to try to make them! They’re seriously amazing!! Hope you love them! I made these today and am obsessed!! I used crunchy peanut butter and it worked well! Thanks for this great recipe! To satisfy my peanut butter cup cravings, I basically eat an entire bar of Lakanto 55% cacao sugar free dark chocolate and smother it all in creamy or crunchy peanut butter. 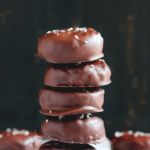 Now that I have a really easy peanut butter cup recipe, I can use both of them to make it! How sweet! Making these tonight for sure! Any suggestions on a brand of chocolate bar to use? They’re so so good! I like to use Theo Chocolate. If you’re dairy-free you can also try Enjoy Life! I am wondering if the peanut butter filling could be rolled into balls, frozen, then dipped in chocolate? I tried making homemade pb cups before and they were kind of labor intensive and not pretty. These look awesome! Thank you for sharing, I can’t wait to try them. Is there any substitute for the coconut flour for people with a coconut allergy? You can use almond flour! I would just use a bit more. 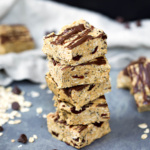 I haven’t tried a cauliflower + peanut butter + chocolate combo! Will the chocolate stick to the paper tray liners? Should I spray the liners with a non stick spray? It shouldn’t! After they’re frozen it should be pretty easy to peel the paper off. Delish! I prefer using a mix of 78% and 70% Lindt Bar. I also use 1 T Maple syrup and dust top with a little coconut palm sugar. Actually, coconut would be good, too! Thank you for this recipe. It’s a gem! Can I use almond butter? Sure! Just be sure it’s natural. I’d also like to know this answer. They look delicious! I’ve never used swerve but let me know if you try it! 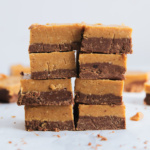 Delicious way to satisfy a PB cup craving! Do I need to use flour? What would happen if I used only pb? The peanut butter would not solidify as well and have a runny texture. You can try it though! Could you please suggest substitutes for malle syrup and coconut flour? honey or date syrup and oat flour would work well.